The immune response in CBA mice was evoked by injection of sheep erythrocytes. The number of antibody-producing cells in the spleen, as well as nitric oxide production, oxygen- dependent metabolism and 5“-nucleotidase activity of perito- neal macrophages and lymphocytes were studied on days 1-5- 14 after immunization. It was shown that during the inductive phase of the immune response (day 1), the peritoneal cells increased nitric oxide production, while later their functional activity increased and NO level became normal. The use of NO-synthase inhibitors (non-selective L-NNA and iNOS in- hibitors SMT and dexamethasone) increased the immune response and decreased the macrophage functional activity. The use of NO-donator SNP resulted in reverse effect: de- crease of the immune response and stimulation of peritoneal cells functional activity. The data obtained indicate that nitric oxide participates in the immune response regulation, in par- ticular, through the suppressive effect of macrophages. Гоженко А.И., Бабий В.П., Котюжинская С.Г.,Николаевская И.В. Роль оксида азота в механизмахвоспаления // Терап. і експерим.медицина. – 2001. –№3. – С.13–17. Журавкин И.Н., Громыхина Н.Ю., Козлов В.А.Иммунодепрессивный эффект сингенных эритро-цитов на этапе зрелых антителообразующих клеток// Иммунология. – 1984. – № 5. – С. 46–48. Ивашкин В.Т., Драпкина О.М. Оксид азота в регуляциифункциональной активности физиологических систем //Рос. журн. гастроэнтерологии, гепатологии,колопроктологии. – 2000. – № 4. – С. 16–21. Иммунологические методы. /Под редакцией Г.Фримеля. –М. : Медицина, 1987. – С. 57–63; 366–369. Малышев И.Ю. Введение в биохимию азота. Рольоксида азота в регуляции основных систем организма// Рос. журн. гастроэнтерологии, гепатологии,колопроктологии. – 1997. – № 1. – С. 49–55. Маянский А.Н., Виксман М.Е., Котельников П.Н.,Молчанова И.В. Характеристика функциональнойактивности нейтрофилов крови человека с помощьюреакции восстановления нитросинего тетразолия //Журн. микробиологии. – 1977. – № 6. – С. 108–111. Меньщикова Е.Б., Зенков Н.К., Реутов В.П. Оксидазота и NO-синтазы в организме млекопитающихсяпри различных функциональных состояниях //Биохимия. – 2000. – 65, №4. – С. 485–503. Туманян М.А., Кирилличева Г.Б., Изменение 5-нуклеотидазной активности в макрофагах перито-неального экссудата мышей при введении различ-ных иммуностимуляторов // Иммунология. – 1984. –№ 5. – С. 29–31. 9. Туманян М.А., Кирилличева Г.Б. Действие иммуно-модуляторов на ферментативную активностьмакрофагов перитонеального экссудата мышей. //Там же. – 1987. – № 6. – С. 34–37. 10. Фанин А.Ф. Оксид азота в биологии: История,состояние, перспективы исследований // Биохимия. –1998. – 63, вып.7. – С. 867–869. Шубич М.Г., Медникова В.Г. NST-тест у детей внорме и при гнойно-бактериальных инфекциях //Лаб.дело. – 1978, №9. – С. 515–518. Auger M.J., Ross J.A. The Biolodgy of the Macro-phage. – New-York: IRL press, 1992. – 174 р.
Angulo I., Rodriguez R., Garcia B. et all. Involvementof nitric oxide in bone marrow-derived natural sup-pressor activity. Its dependence on IFN-gamma // J.Immunol. – 1995. – 155. – P. 15–26. Archer S. Measurement of nitric oxide in biologicalmodels // FASEB J. –1993. – №7. – P. 349–360. Davies P., Bonney R.J., Humes J.L., Kuehl F.A. Secretionof arachidonic acid oxygenation products by mononuclearphagocytes: Their possible significance as modulators oflymphocytes function. – In: Macrophage Regulation ofImmunity. New-York: Acad. Press, 1980. – P. 347–360. Denham S., Rowland I.J. Inhibition of the reactiveproliferation of lymphocytes by activated macroph-ages: the role of nitric oxide // Clin.Exp.Immunol. –1992. – 87. – P. 157–162. Lianos E.A., Guglielmi K., Sharma H. Regulatory in-teractions between inducible nitric oxide synthase tndeicosanoids in glomerular immune injury // Kidney Int . –1998. – 53. – P. 645–653. Lianos E.A., Lin J. Changes in inducible nitric oxide syn-thase expression in experimental glomerulonephritis //Proc. Soc. Exp. Biol. Med. – 1997. – 215. –P .405–411. 19. Mac Farlane A.S., Schwacha M.G., Eisenstein T.K. Invivo blockage of nitric oxide with aminoguanidine in-hibits immunosuppression induced by an attenuatedstrain of Salmonella typhimurium, potentiated Salmo-nella infection, and inhibits macrophage and polymor-phonuclear leukocyte influx into the spleen // Infect.Immun. – 1999. – 67, № 2. – P. 891–898. 20. Marcin Kiewicz J. Nitric oxide and antimicrobial ac-tivity of reactive oxygen intermediates // Immuno-pharmacology. – 1997. 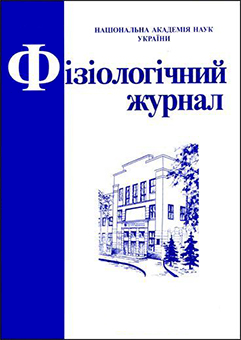 – 37, № 1. – P. 35–41. Marcin Kiewicz J. Regulation of cytokine productionby eicosonoids and nitric oxide // Arch. Immunol. Ther.Exp. (Warsr). – 1997. – 45. – P. 163–167. Moncada S., Higgs A. The L –arginine nitric oxide path-way // New Eng. J. Med. – 1993. – 329. – P. 2002–2010. Mulligan M.S. Protective effects of inhibitors of nitricoxide synthase in immune complexinduced vasculitis //Brit. J. Pharmacol. – 1992. – 107, № 4. – P. 1159–1162. Ruuls S.R., Van Der Linden S., Sontrop K. et al. Aggrava-tion of experimental allergic encephalomyelitis (EAE) byadministration of nitric oxide (NO) synthase inhibitors //Clin. Exp. Immunol. – 1996. – 103, № 3. – P.467–474. Takagi K., Nukaya I., Yasukawa K., Suketa Y. Inhibitorymechanisms of antibody production by nitrogen oxidesreleased from activated macrophages during the immuneresponse: Relationship to energy consumption //Immunol. and Cell Biol. – 1994. – 72, № 3. – P.241–248. Teixeira M.M., Fairbairn S.M., Norman K.E. et al. Studieson the mechanisms involved in the inflammatory responsein a reversed passive Arthus reaction in guinea pig skin;contribution of neutrophils and endogenous mediators //Brit. J.Pharmacol. – 1994. – 113. – P. 1363–1371. Tomioka H., Saito H. Characterization of immuno-suppressive functions of murine peritoneal macroph-ages induced with various agents //J. Leukoc.Biol. –1992. – 51, №1. – P. 24–31. Xiaoguang N., Zhong L., Hailong C. et al. The relationbetween apoptosis of acinar cells and nitric oxide dur-ing acute rejection of pancreas transplantation in rats // Transpl. Immunol. – 2003. – 11, № 1. – P. 15–21. 29. Xing Z., Schat K. A. Inhibitory effects on nitric oxideand gamma interferon on in vitro and in vivo replica-tion of Marek’s disease virus // J. Virol. – 2000. – 74,№ 8. – P. 3605–3612. 30. Vouldoukis I., Riveros-Moreno V., Dugas B. et al. Thekilling of Leishmania major by human macrophages ismediated by nitric oxide induced after ligation of theFc epsilon R II/CD23 surface antigen // Proc. Natl.Acad. 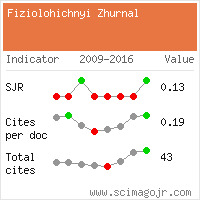 Sci. USA. – 1995. – 92, № 17. – P.7804–7808. Worral N.K., Lazenby W.D, Misko T.P. et al. Modula-tion of in vivo alloreactivity by inhibition of induciblenitric oxide synthase // J. Exp. Med. – 1995. – 181. –P. 63–70.